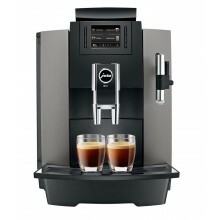 In this section we offer brand new espresso machines for commercial use, machines of last generation and tehnology; over the years we have refined our catalogue of machines to make sure we only offer a selection of the best coffee machines available. Nevertheless, trading brand new machines is not our core business, so we supply them only on demand, delivery taking up to 30 days time. 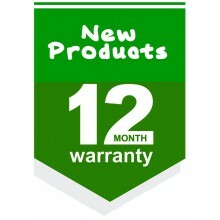 New There are 9 products. 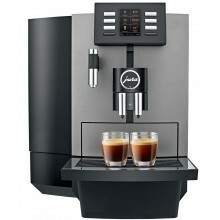 Jura WE6 professional coffee machine, black colour, TFT display, recommended for offices or locations with a consumption of approx. 30 servings / day. No VAT included. 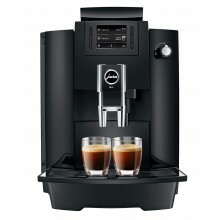 Jura WE8 professional coffee machine, dark-inox colour, TFT display, One-Touch cappuccino function, recommended for offices or locations with a consumption of approx. 30 servings / day. No VAT included. Jura X6 professional coffee machine, dark-inox colour, TFT display, recommended for offices or locations with a consumption of approx. 80 servings / day. No VAT included. Jura X8 professional coffee machine, platin colour, TFT display, One-Touch cappuccino function, recommended for offices or locations with a consumption of approx. 80 servings / day. No VAT included. Jura Giga X3 professional coffee machine, aluminium colour, TFT display, One-Touch cappuccino function, recommended for offices or locations with a consumption of approx. 120 servings / day. No VAT included. Jura Giga X3c professional coffee machine, aluminium colour, TFT display, One-Touch cappuccino function, recommended for offices or locations with a consumption of approx. 120 servings / day. No VAT included. 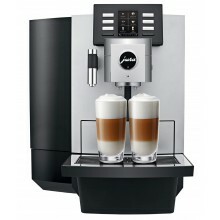 Animo Optime 21 coffee machine, touchscreen control panel, version with fresh milk and one instant canister, brewing unit up to 13.4 gr., recommended for offices or locations with a consumption of 125 cups / day. No VAT included. 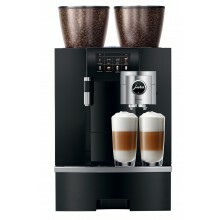 Jura Giga X8 coffee machine, black colour, TFT display, One-Touch cappuccino function, recommended for offices or locations with a consumption of 200 cups / day. No VAT included. 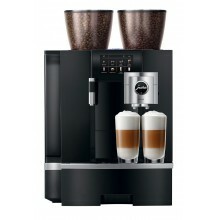 Jura Giga X8c coffee machine, black colour, TFT display, One-Touch cappuccino function, recommended for offices or locations with a consumption of 200 cups / day. No VAT included.